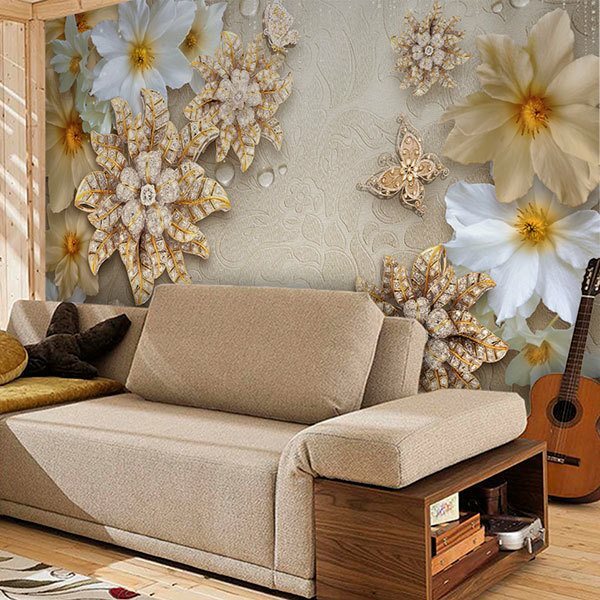 Wall mural Floral jewellery. 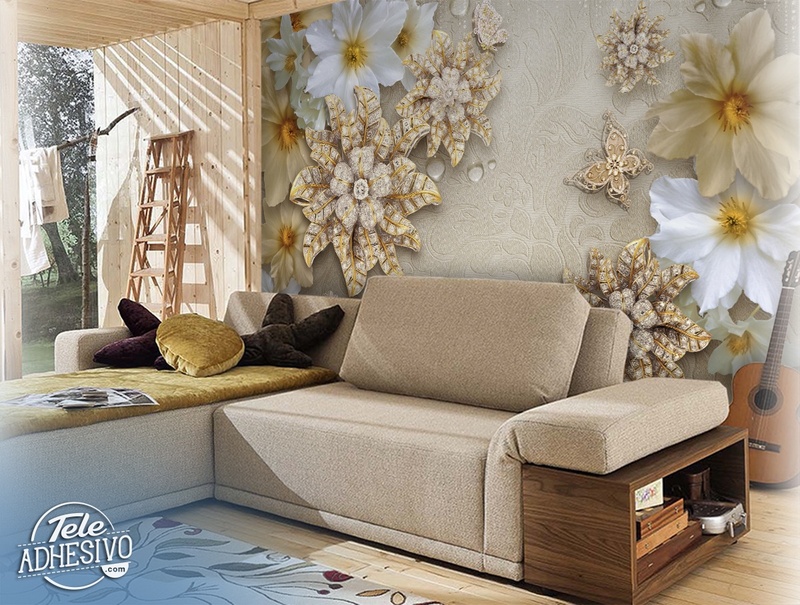 Fabulous composition of a velvety background with several natural magnolias and others made of gold and diamonds. 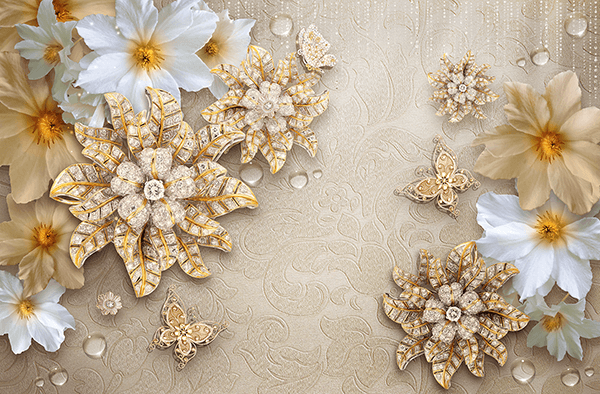 The magnolias have white or ochre petals, and the jewels are made of gold leaves with diamonds, just like butterflies.